Ultrasolid container for transportation of small cargo. Can be delivered in any point of the Galaxy. 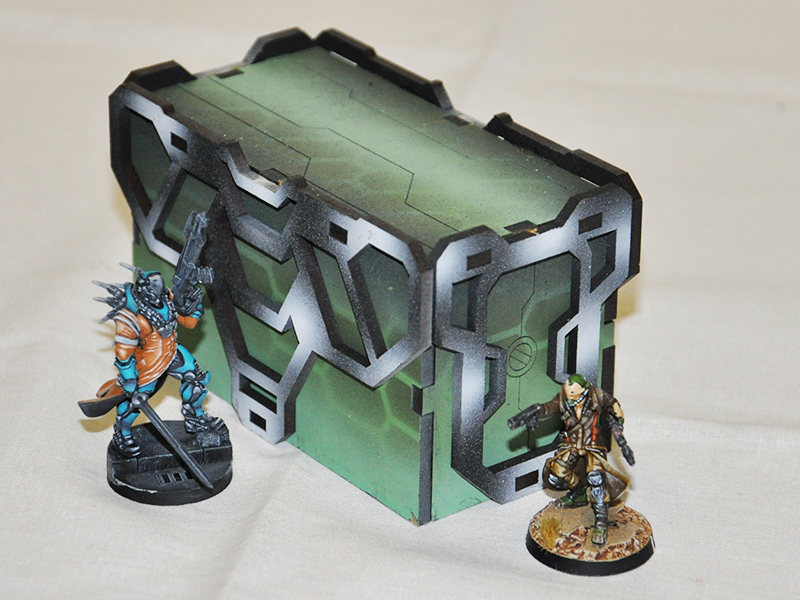 Terrain element, that allows to covering your units in a desperate gunfight. Several containers can be plugged to each over, forming a row. It can be useful to hide your troops from enemy fire, while they sneak in positions. We recommend you to paint it with acrylic paints. In addition, you will need PVA glue to assemble it.